Make a remote-controlled rover robot using a Raspberry Pi and a webcam. A rover is basically a remote-controlled vehicle used to access areas that are inaccessible by humans. NASA's Curiosity is a well-known rover robot. 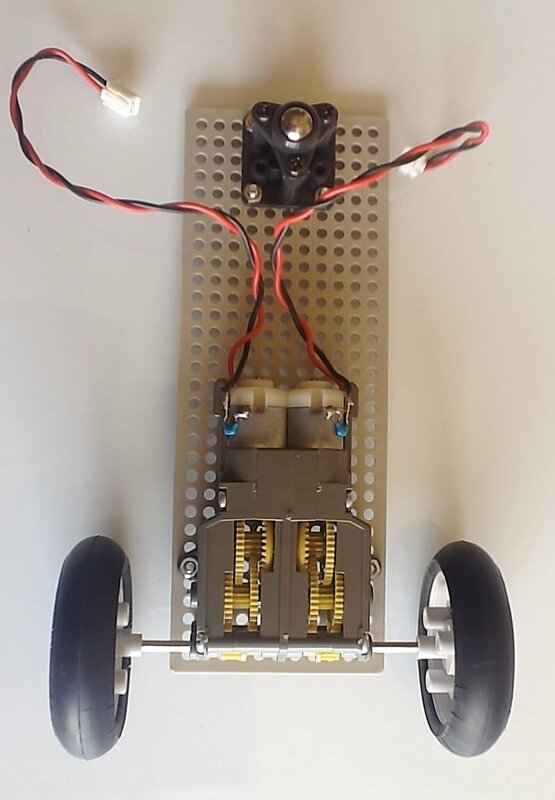 I decided to build my own simple rover using a Raspberry Pi board and a web camera. The USB webcam acts as the controller's eyes, which is typical of rovers (they are not autonomous). 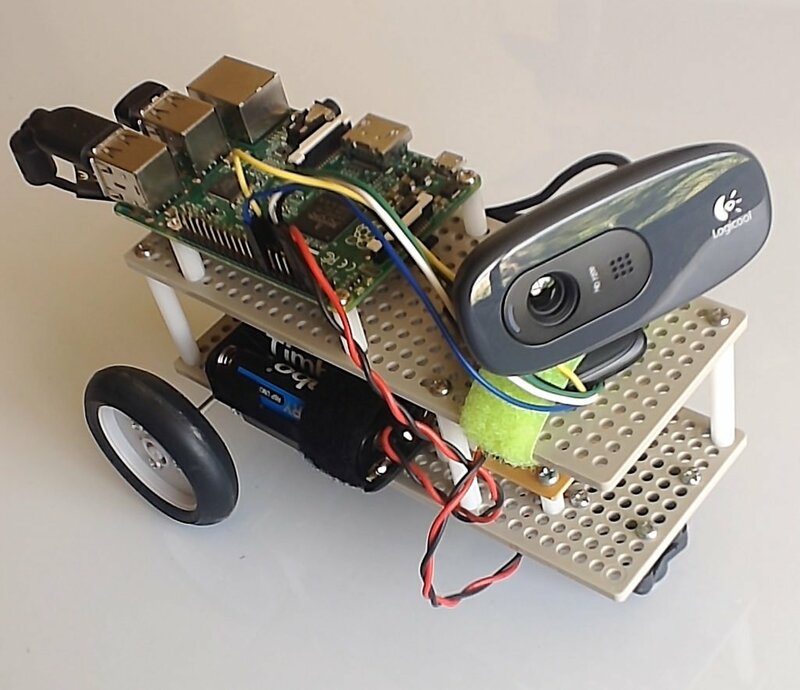 We can then control the movements of the robot using buttons on a locally hosted web page where the same video stream from the camera is embedded. 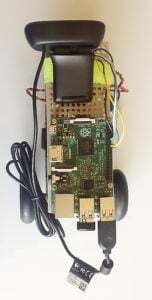 I made the robot control more secure by making the Raspberry Pi a Wi-Fi access point. This means only users that know the Wi-Fi ID and password of the robot can view the video stream and control it. Using plastic posts, I attached the second platform and then attached the Raspberry Pi board (with the Wi-Fi dongle plugged). This is one of those projects where the software configuration is much more difficult than the hardware. Warning: this stuff might be too complex for beginners. Go one folder above then copy the mjpg-streamer folder to /usr/local/bin. Do the same for the plugins output_http.so and input_uvc.so. mjpg_streamer -i "input_uvc.so -f 10 -r 320x240 -d /dev/video0 -y" -o "output_http.so -w /var/www/html -p 8080"
Open a browser from a computer or smartphone with the same network as your RPi. To view the stream, just go to your Pi's address. For example, my pi is at http://192.168.1.6. I was able to see the video stream on that address. Now we want to control the robot only when we are connected to it and not anyone else within the network. To do that, we want the RPi to be the access point. This will give the RPi a static IP address of 192.168.1.6 when accessed from the ethernet port (for SSH) and 192.168.0.1 from Wi-Fi (which we'll be our access point to control the robot). Next, we need to install a DHCP server. Exit from nano using CTRL+X and choose "Y". Again, close nano and save the file. This will create an SSID rover-wifi which we can access using the passcode 12345678. And remove the # infront of DAEMON_CONF = "/etc/hostapd/hostapd.conf"
Close nano and save the file. Alright, now that we've got the camera stream going and made the RPi an access point, we need to have some sort of control mechanism for the robot. We can edit the index.html file where we embed the video stream and add buttons to it to move or stop the robot. 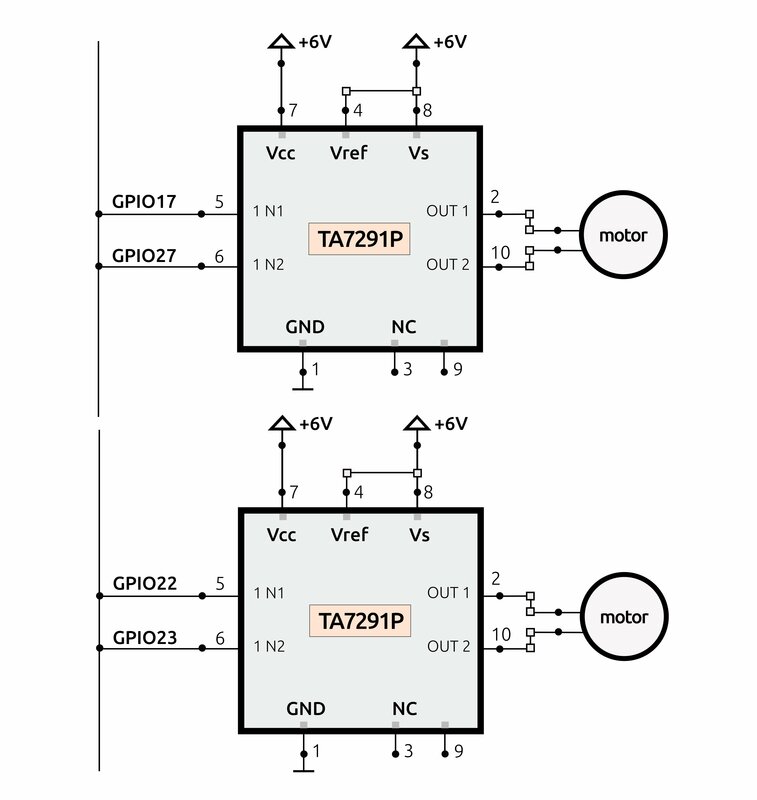 These will reserve the pins 17, 27, 22, and 23 for motor control. mjpg_streamer -i "input_uvc.so -f $FRAMERATE -r $SIZE -d /dev/video0 -y" -o "output_http.so -w /var/www/html -p $PORT"
Finally, to make these scripts run as the Raspberry Pi is opened, edit rc.local. This will run stream.sh and init.sh when the RPi boots up. 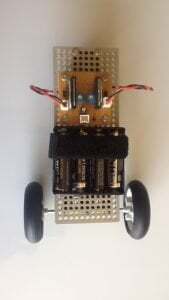 All the needed shell scripts, as well as the webpages, are found on my Raspberry Pi rover robot repository. That's it for the software part! 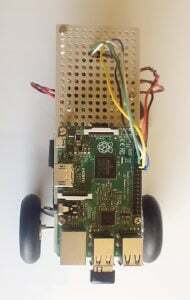 To start controlling the robot, use a smartphone or laptop and connect to the robot Wi-Fi access point rover-wifi with password 12345678. Press the buttons and watch the robot move!